I can’t even start to cover everything that’s been occurring on a Quantum Cosmic Multi-Dimensional Level… it’s just sooooo vast in a multitude of ways. So I won’t even try. I’ll recap and mention a few here, while sharing/providing more reSOURCES, gifts, opportunities for you to utilize to assist you in your own awakening, ascending, expanding and embodiment processes, passageways and journey here. Our focus shows us/all our priorities, which change all along the way as we clear our own human separation/programming and start to truly understand our ROLES here as Awakening HUmans (Soul/StarSeed Embodiers), NEW Earth Light BEings, Gatekeepers, Gridkeepers, Stabilizers, Frequency Holders, Light Keepers, Bridgers/Bridgekeepers, Change Makers, Guardians, Cosmic Citizens and so very much more. This is all of us, not just the visible ones…. as this takes us ALL to contribute, support, create and anchor the immensity of these mega-wattage Cosmic Rays & Light Codes in through our physical bodies and into our entire physical reality too. We’ve entered Cosmic Akash Clearings…. so while expanded and conscious, we can clear any programming that emerges with great ease. We’ve been in a couple of weeks of “clearing old human programs and timelines”, while staying focused on accomplishing, integrating and DOing whatever appropriate for our own reality to anchor, shift and re-align our own realities fully, for easier shifting as we move into this next phase. I’ve written a new article today, which is shared below. The ENTIRE UNIVERSE/COSMOS has been activated to awaken from every living being now. This opens up FEELING and connecting on a whole new level, while exacerbating/illuminating any distortions to be repetitive/louder/visible for all to choose to collapse those programs/realities consciously and bring the entire reality into a much higher state of consciousness through open, loving, caring communication, sharing and unification together….. The entire physical reality is yours to MASTER AS LOVE, as your own Higher Selves/Universal Aspects. It’s yours to observe, through full presence and come to understand, how you created that, how you allowed that, what “that” is showing you about you that you could not previously see, where you compromise, don’t love/respect you/each other and where there are still dualistic/unconscious/karmic programs playing themselves out…..
Everyone here has EVERY CAPABILITY available…. yet the ego/human aspect loves to use words like “have to, forced, made me, did this to me”, instead of “I’m choosing this, I’m allowing this, I’m the one RESPONSIBLE for SHIFTING this and for how I act, treat myself/others and think”…. 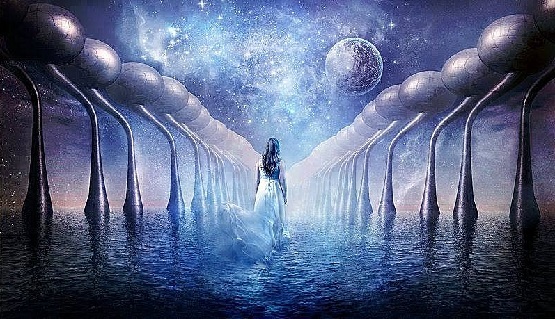 The most beautiful vibrational energies are continual now…. as are the realities we experience too. What you focus your own energy on, this will dictate your actual experiences here. This entry was posted in Uncategorized and tagged ascending, awakening, Awakening HUmans (Soul/StarSeed Embodiers), Bridgers/Bridgekeepers, Change Makers, Cosmic Citizens, expanding and embodiment processes, Frequency Holders, Gatekeepers, Gridkeepers, guardians, higher vibrational dimensional timelines/realities, light keepers, Lisa Trancendance Brown, love, NEW Earth Light BEings, passageways and journey, Quantum Cosmic Multi-Dimensional Level, Stabilizers. Bookmark the permalink.